Food has always been an important part of the Hawaiian culture. As different nationalities relocated to Hawaii, they also brought their food with them. Hawaiian food has been influenced by such cultures as Japanese (sushi, sashimi), Portugese (sweet bread, sausage), Chinese (stir-fry), and Korean (BBQ beef). 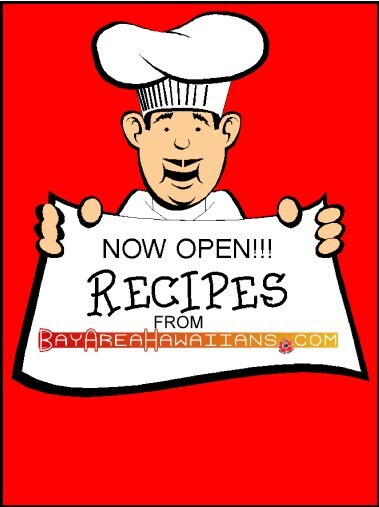 Of course, Hawaiians also have their own specialties such as Kahlua Pig, Lau Lau, and Haupia. You can find all these traditional recipes as well as a lot more on this site. Take a look around! Remember, all recipes have been personally tested!! !